August 1st is finally behind us and the markets have decided to move ahead. While there will always be dramatic events, uncertainty and volatility in the cryptocurrency space, the biggest one in recent past has been the fork in Bitcoin. I believe the markets are now in bull mode and we will see a series of higher highs. The bottom was in after Bitcoin hit $1800 and while I started edging back after that, the hard fork cause more uncertainty resulting in a scaling back. 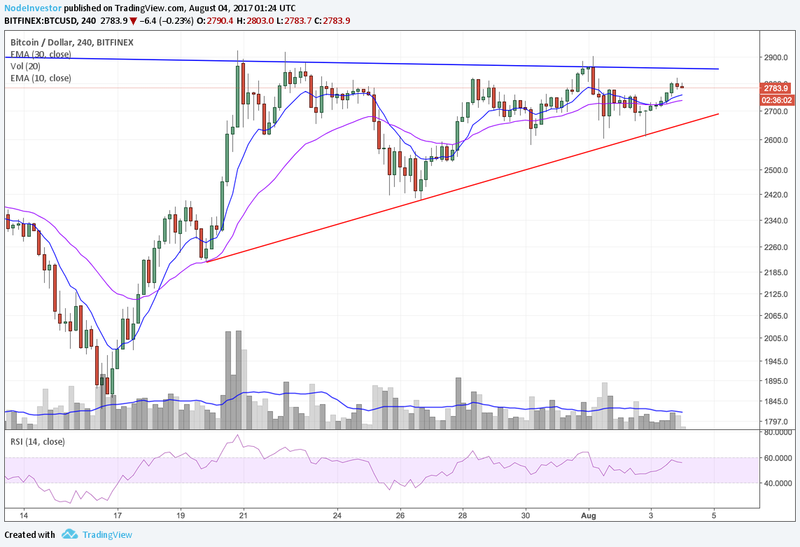 Now, Bitcoin is looking to make all-time highs and Litecoin & Ethereum are consolidating nicely. All three are nearing upper resistance and will signal their next move very soon. Below are charts for the big three. 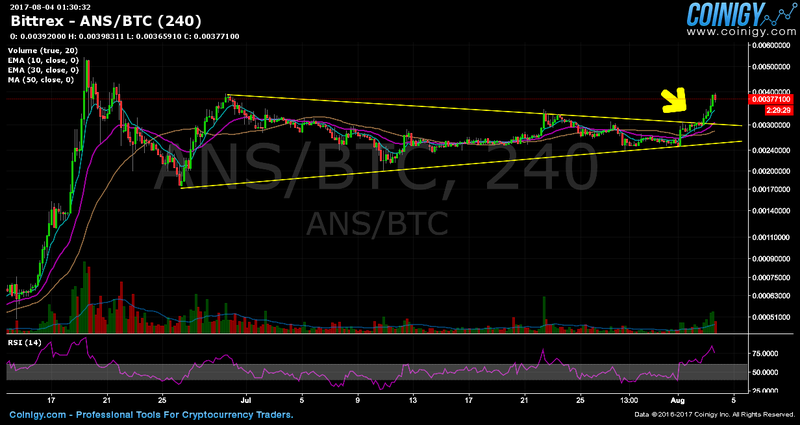 Beyond these leaders, several altcoins have already made tremendous gains and I see more setting up to break out here. 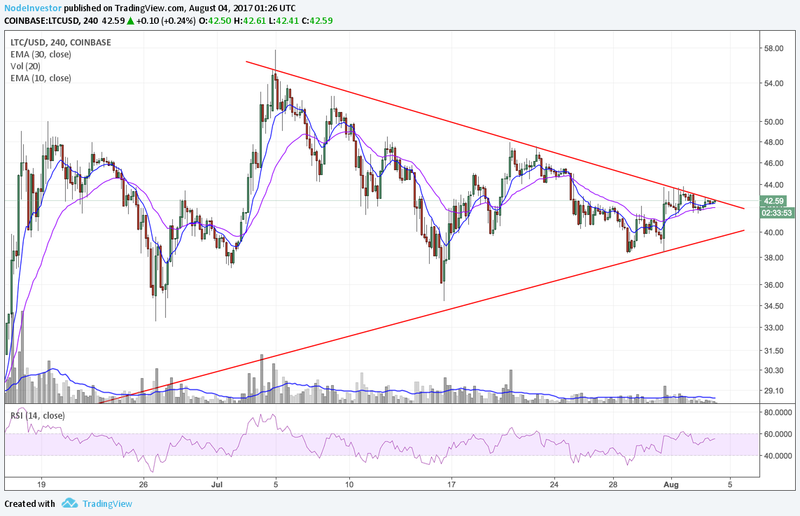 In a recent newsletter, I covered several of these including NEO/Antshares, WAVES, OmiseGo, EOS, NEM and Stratis. 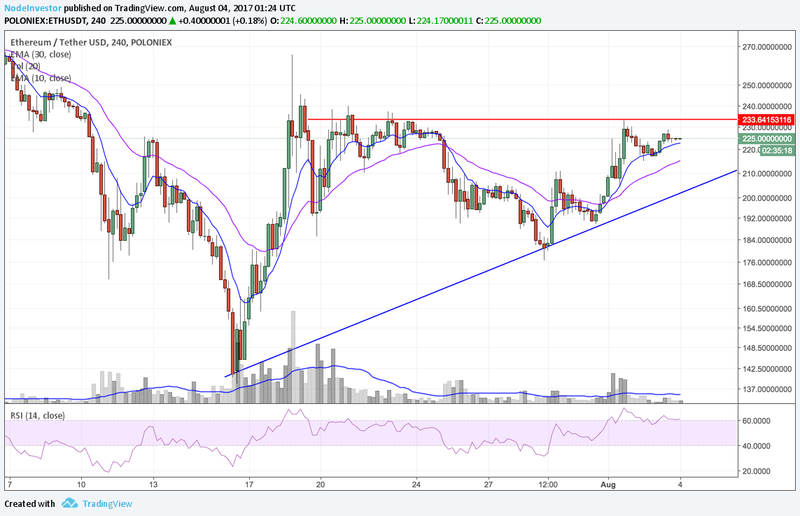 My top pick has been NEO and has finally staged a breakout following a long consolidation during the recent downtrend in the markets. It’s near resistance now but a break above that could see it go to all-time highs versus BTC. Against fiat, we’re nearly there and will exceed ATH prices sooner due to the higher BTC price. Here is a link to the full newsletter. To keep up with timely updates, follow me on Twitter and subscribe to the free newsletter if you have not already! https://nodeinvestor.com/wp-content/uploads/2017/08/stockbull.jpeg 194 259 Node Investor https://nodeinvestor.com/wp-content/uploads/2017/04/NodeInvestor-logo1-300x170.png Node Investor2017-08-04 01:37:142017-08-04 14:29:00The Bull is Back! How will the market react on August 1st. My Thoughts… Big Gains Since August 1st!